Zig Kuretake Gansai Tambi PEARL COLORS Set of 6 MC20PC at Simon Says STAMP! MC20PC This item is on reserve until If you would like to reserve this item now, you may purchase it now with the rest of your order. We will hold your order now and ship your entire order as soon as this item is back into stock. If you would like your order to ship now, please place this item on a separate order. Success, Zig Kuretake Gansai Tambi PEARL COLORS Set of 6 MC20PC has been shared! Ideal for calligraphy, illustrations, brush lettering, and more! Six color set of water-based pigment watercolors. Zig Memory System is an exciting, innovative range of pens, markers, and glues designed to give you all the options for preserving treasured memories and valuable archive material. With so many memories to store; weddings, births, school and college years, holiday, anniversaries, birthdays and so much more, you need the right tools for the job! ZIG Memory System products are acid-free, lightfast, waterproof, fade-proof and non-bleeding. As well as our famous ZIG range of pens, markers and unique writing tools, Kuretake provides numerous products to the sign industry, fine artists, graphic designers and the educational sector. 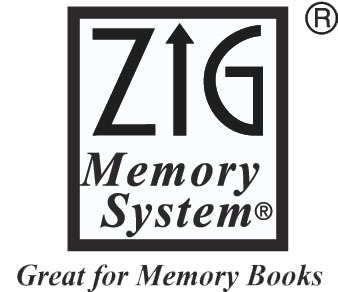 You may not trust your memory, but you can trust ZIG Memory System...designed with time in mind!